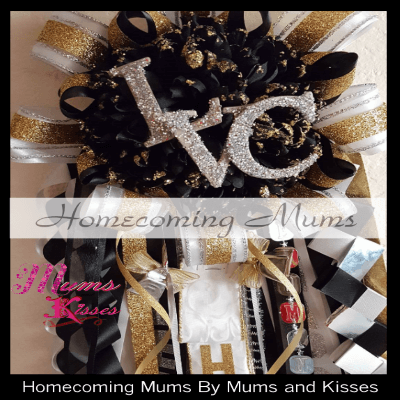 Mega Homecoming Mums – The big enchilada of homecoming mums! 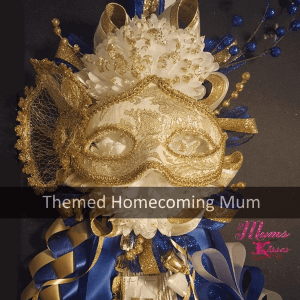 Mums and Kisses has brought back the Mega Homecoming Mums from 2006, formally known to us as the Quad Homecoming Mum / Quadruple Homecoming Mum now has a lot more to it! We offer two different types of Mega Homecoming Mums. The first is the designer mega mum we call The Cally. The Cally is a diamond shaped quad mum that is actually made with 5-6 mums total. 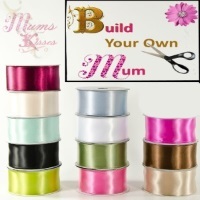 And the other we offer is our Build Your Own Mega Mum where YOU design your own mega mum. 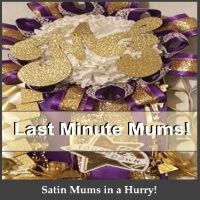 Which ever you choose, you have our guarantee that you’ll get top quality satin and luxury ribbon, quality craftsmanship and a mum you’ll be proud of. We have some of the lowest prices in the state. We don’t think silk flowers and ribbon should cost you $400 + to wear one night, lights, stuffed animals or not. We’re parents too and we like to keep it on the reasonable side. Have Questions Before You Buy? Scroll down! Sometimes we all have questions before we make a move. We know you’re the same. We have several ways to answer your questions. Whether it’s via our FAQ page, Live Chat, Email, or via phone. We really are here to help!